This fabric is the ideal choice for a variety of projects! It is durable and will stand up to frequent use. 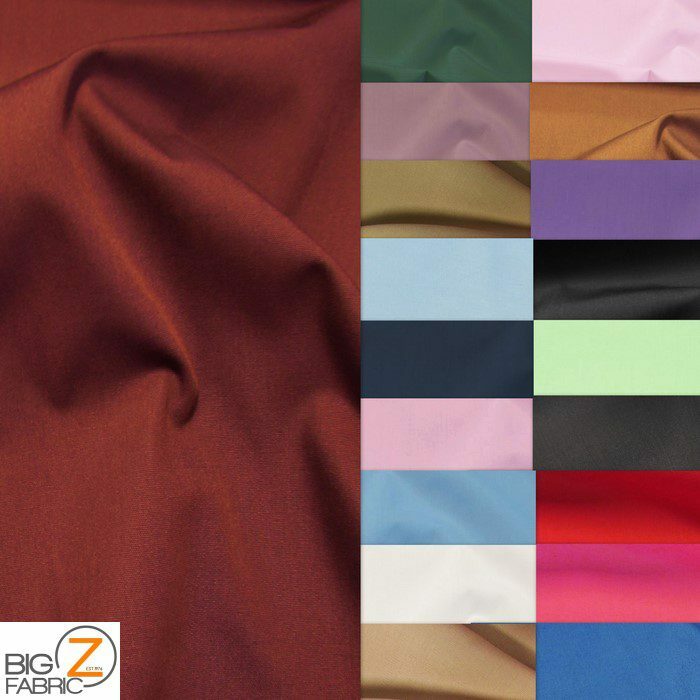 It is easy to work with and is not confined to a specific purpose, so if you are looking for a high-quality fabric with a large selection of solid-color options, you’ll want to give this fabric a try. You can choose from 15 colors, including Navy, Light Pink, Sand, Teal, Charcoal, and White. You’ll be able to find just the perfect color for your project. This fabric will do especially well when used for clothing projects. You can create uniforms for your children, or simply a set of fancier outfits as the occasion calls for. You can also use this fabric for bedspreads, formal skirts, and window curtains. This is a marvelously adaptable cloth that will look great in just about any application! Solid Heavyweight Uniform Poly Cotton Fabric is available for just $4.99 a yard. It is made of 65% polyester and 35% cotton, with a width of 58 to 59 inches. You can also request a $1 sample to see it in person first. Are you a fan of polka dots and love arts and crafts? Our new ploy Cotton printed fabrics would be a great addition to your DYI projects! This fabric is affordable, and made of high quality materials that can be used to make a variety of household items. Are you asking yourself, what kind of DYI products can we use with your new fabric? It can be used for sewing shirts, pants, bed spreads, window shades, pillow cases, hair scarfs, towels, and many more! You just have to be creative and follow your heart! The product is made from 65 percent polyester and 35 percent cotton, it has a width of 58″ and 59″. It’s sold in a variety of different yard sizes and has no Stretch. It’s a great idea to do DYI projects with other people, especially if you have children. You can teach them new things and you can bond with them, think of how proud and happy you’re child would be after they helped you create something useful for the house. Using these fabrics are also great for making homemade gifts for your loved ones, or you could even do a project with your partner. 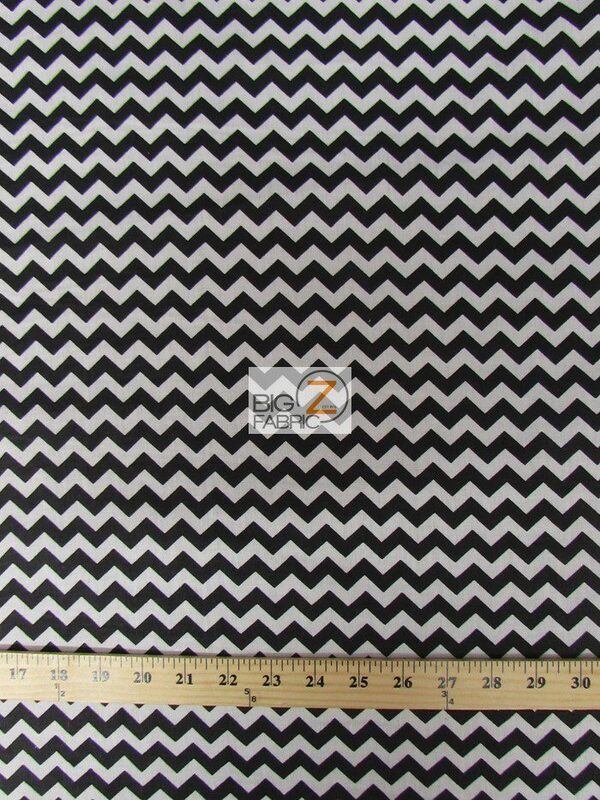 Poly Cotton Fabric .4″ Zig Zag Chevron is a great option for bedspreads, washcloths, and clothing. With the holidays coming up, monogrammed washcloths would make ideal stocking stuffers. Or create a colorful bedspread or sheet! It will certainly brighten the room. With six colors to choose from, you can go for a bright and bold look with Red or Turquoise or a more traditional option like Black or Gray. Because this cloth features zig zags that are only .4 inches wide, this cloth will look amazing on smaller pieces as well! So go ahead and create that throw pillow or that bed set for your child’s favorite doll. It will look proportional and beautiful. 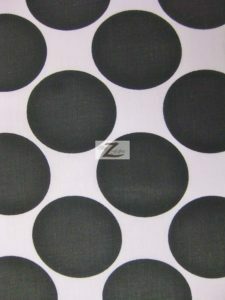 This fabric comes in a width of 58/59 inches and is 65% polyester and 35% cotton. It is available for just $3.40 a yard, with samples costing just $1. So give these zig zags the chance to make your next project stand out!